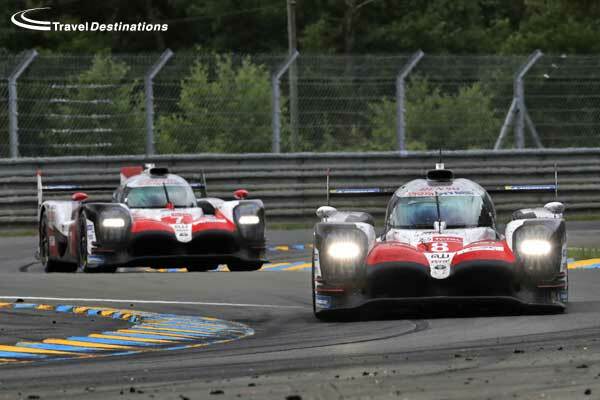 You can book your Le Mans tickets now through Travel Destinations. The confirmed dates for the Le Mans 24 Hours are the 18th & 19th June 2016. Prices will be published later this year but the 2015 prices will remain on this website to use as a guide. The Le Mans Classic dates are confirmed as the 8th – 10th July 2016. Prices for this event are already available on this website. For many the search for the right Le Mans tickets can be confusing. 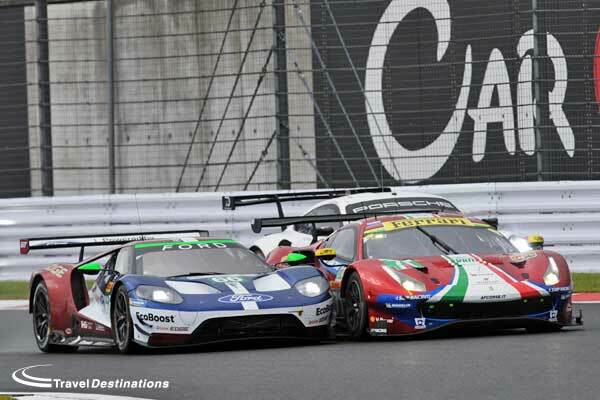 A quick search of the web can provide many contradictory opinions on the best way to obtain Le Mans tickets and what are the best Le Mans tickets to have. 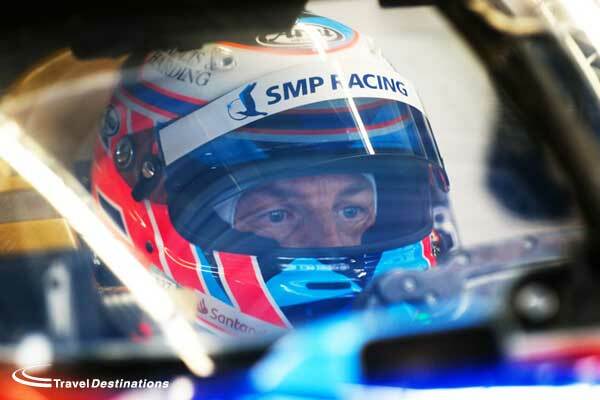 With this in mind we take a simple look below at the different options available and try to answer many of the questions about Le Mans tickets that we get asked every year. When should I book Le Mans tickets? 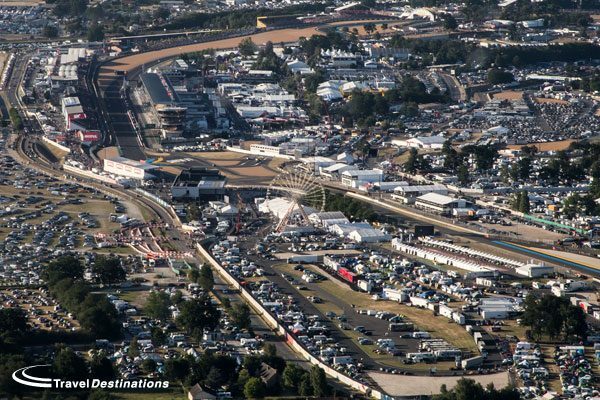 The Le Mans 24 Hours is attended by more than 250,000 people each year. Clearly there is a big demand for Le Mans tickets. Generally ticket prices are published in the autumn, but it is still possible to make a provisional reservation before then. 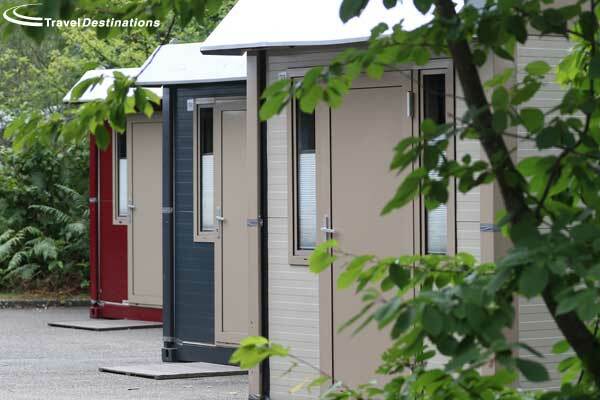 Travel Destinations opens provisional reservations the day after the race. This enables those returning from this year’s race to repeat their reservation if they wish. Generally we recommend booking Le Mans tickets before Christmas if possible. This will give you the best choice of availability and you shouldn’t miss out on what you want. 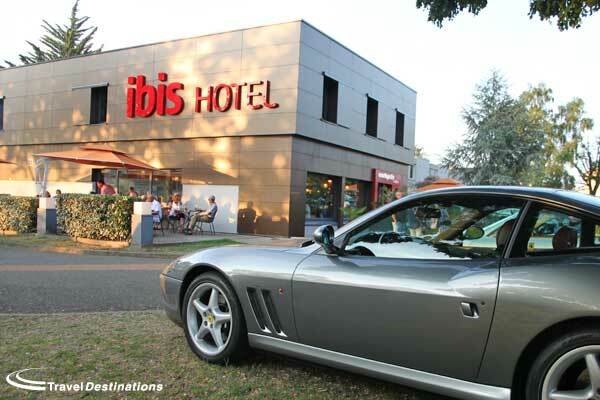 Of course Travel Destinations still make bookings right up until the week of the race, but availability will be restricted the closer we get to Le Mans. What Le Mans tickets do I need? A lot depends on what you want to do and see, but the minimum that you require is a general admission / entrance ticket (“Enceinte General”) for every person in your party. This allows you pedestrian access to all the public areas of the circuit. This includes the village area and the viewing banks and steps between Porsche Curves and the Tertre Rouge Corner. It also allows access to the viewing areas at Arnage and Mulsanne corners which can be accessed by a free bus service from the main entrance to the circuit. In addition to the general admission ticket you can choose to add a grandstand seat ticket to your booking. This will give a you a reserved seat for the Saturday and Sunday. Even if you choose to have a grandstand seat you will still need to have a general entrance ticket. All Travel Destinations offers include a general entrance ticket. 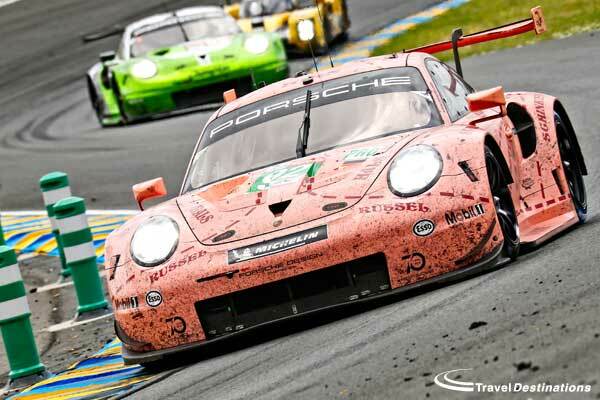 Why should I book Le Mans tickets through Travel Destinations? 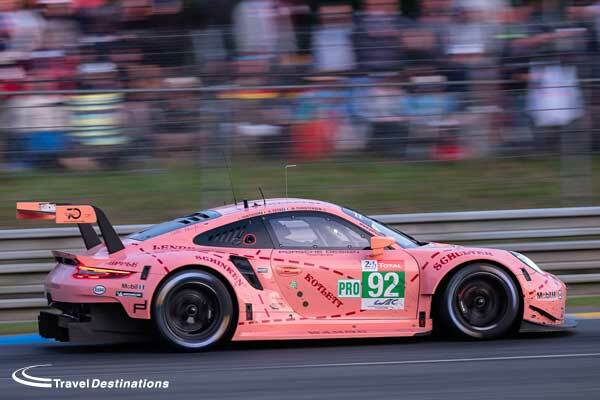 There are a number of companies that advertise selling Le Mans tickets, however you should only buy Le Mans tickets from the circuit itself or from an official Le Mans tickets agency. 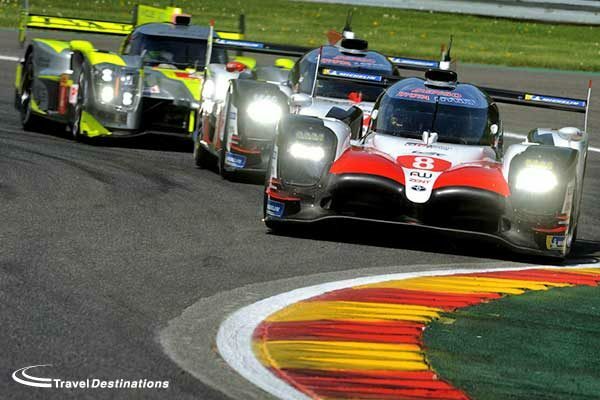 Travel Destinations are an official Le Mans tickets agency & have been working with the circuit for more than 20 years. 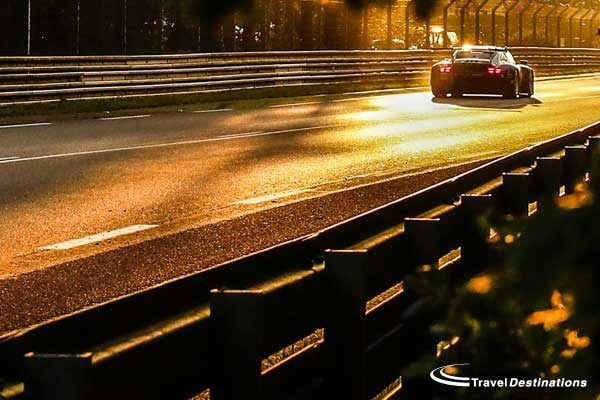 Travel Destinations are also an ABTA and ATOL bonded tour operator enabling us to offer the best selection of travel and accommodation options for Le Mans. By being an ABTA and ATOL bonder tour operator you can make your booking with Travel Destinations knowing that your money is safe and that you can book with confidence. 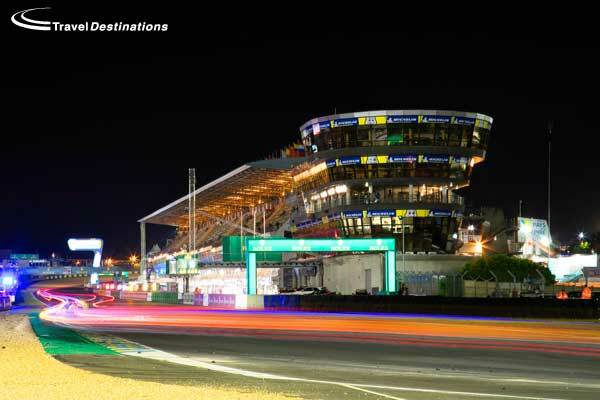 All Travel Destinations employees have been to Le Mans on many occasions and can talk to you from experience about what Le Mans is like and which ticket options are best for you. Travel Destinations staff are present at the circuit and offer a support service for all our customer. 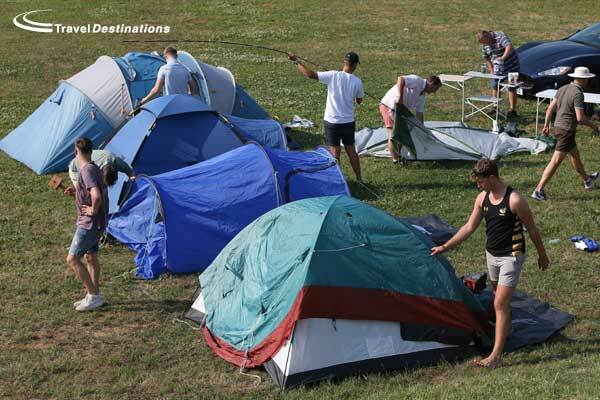 How many Le Mans camping tickets do I need? 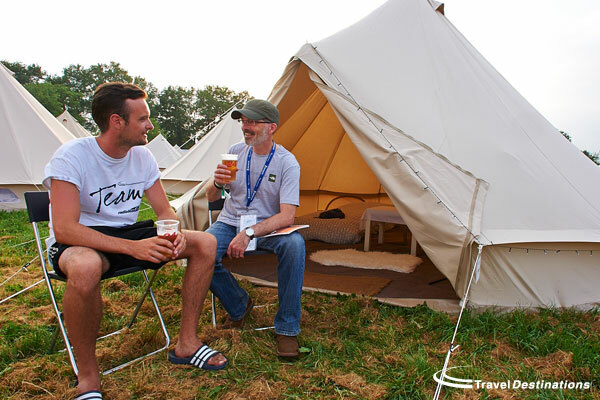 You will need at least one Le Mans camping pass for each vehicle that you are taking in to the campsite. One camping ticket generally entitles you to a 7m x 5m camping pitch. 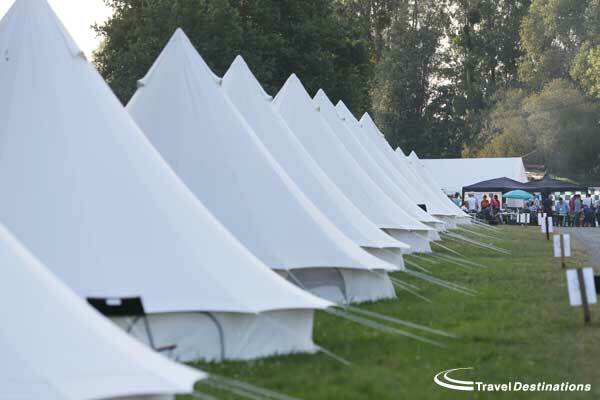 If you require more space then you can add additional camping tickets to your booking. Most of the campsites now have marked pitches and have numbered plots, however a few remain that are not numbered. Circuit run campsites are basic and have very few facilities. 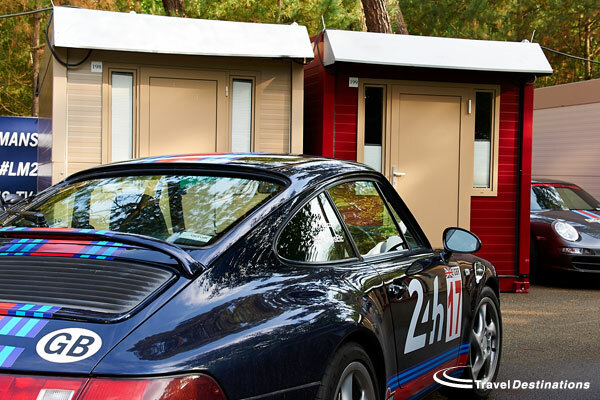 If you require better facilities such as security, fully serviced showers and toilets and a hospitality marquee, then we recommend the Travel Destinations private trackside campsite at the Porsche Curves. 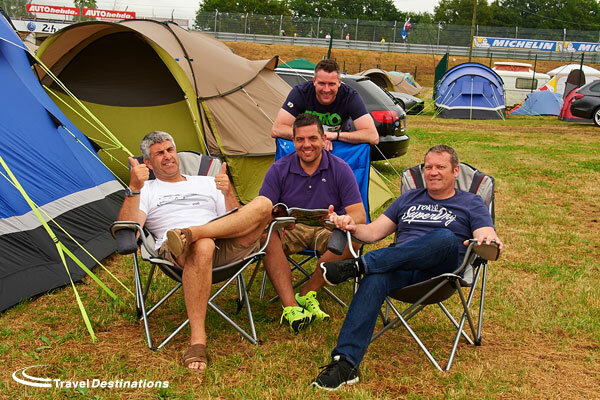 What is the best grandstand ticket to have at Le Mans? There is no right or wrong answer to this as it is really down to personal preferences and what you wish to see. You may not even need to add a grandstand seat depending on what you want to see. The majority of grandstands are located on the start-finish straight either above or opposite the pit lane. Being above the pits (tribune 34) gives a good view of the start and the finish, but you cannot see in to the garages. From the grandstands opposite the pit lane you will be able to see in to the garages as well. These are normally the most expensive and in demand seats. As an alternative you may look to try seats on the Ford Chicane (Tribune 23) or by the famous Dunlop Bridge (Tribunes 4 & 5) as these offer good views of the esses, curves or chicane. However you cannot see the garages from these stands. Do I need to be a Le Mans member? You can become a member of the ACO (the Automobile Club de l’Ouest) but it is not necessary to be a member to purchase Le Mans tickets through Travel Destinations. Do you only sell Le Mans tickets to people in the UK? 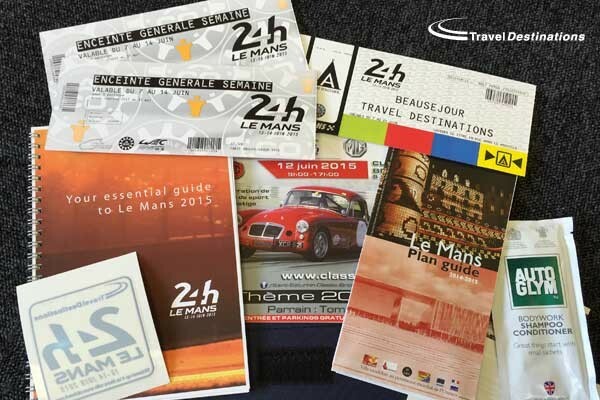 Travel Destinations may be based in the UK but we sell Le Mans tickets to people from all around the world. Our largest market is the UK but we have many customers from all across Europe, USA, Canada, Australia, New Zealand, South Africa, Japan, China, Brazil and many other countries around the world. Although many of our prices include options for Channel crossings from the UK, all of these options are also available without UK travel if this is not required. Do you sell Le Mans tickets on their own? Travel Destinations is a tour operator and us such our offers include accommodation, tickets and usually travel. However our sister company is a ticket agency and so can sell the tickets on their own. 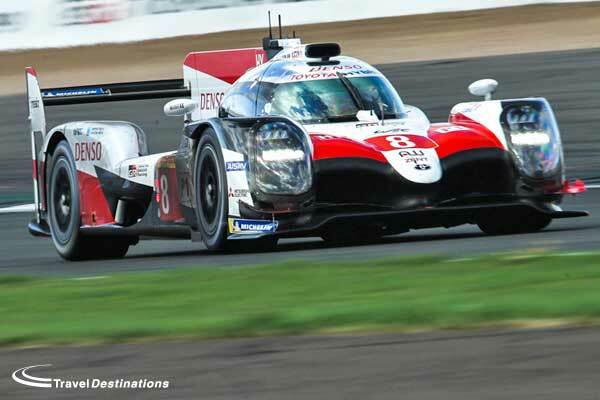 Le Mans ticket only sales may not have the same availability as offers via Travel Destinations, but if this is the right thing for you please visit www.tickets-2-u.com for more details on individual Le Mans ticket prices. 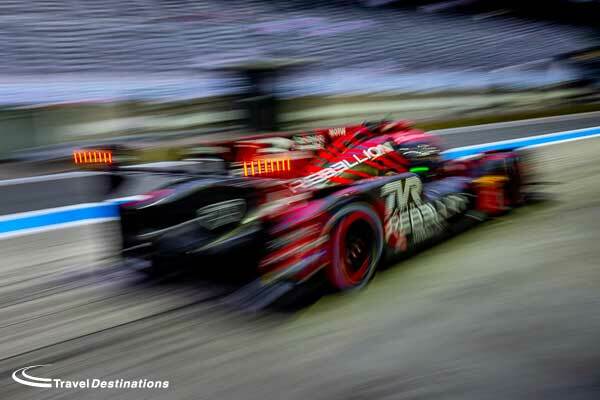 What is the best way to book Le Mans tickets with you? We hope that whatever Le Mans tickets option you choose, that you can join Travel Destinations at the next Le Mans 24 Hours.